The Bitcoin Gold fiasco continues. Will We Really Lose Bitcoin In The SegWit2x Fork? In short, Bitcoin Gold is a new cryptocurrency that forked out of Bitcoin last week (late October 2017) from the block height of 491407. Before the fork, CoinSutra had published detailed instructions for our community so that they could benefit in the future. And that moment of the future has now come! If you were not tracking the fork or not reading CoinSutra and have left your Bitcoin in an exchange that is not supporting BTG after the fork, then you are out of luck. On the other hand, I would like to congratulate our community readers who heeded our advice of keeping their BTC in the Ledger Nano S, Trezor, Mycelium, Jaxx, or other similar wallets, and are now lucky enough to be eligible to claim BTG. Also, these forking events are a timely reminder for all of us that one should never trust exchanges and should always be in control of their own private keys. Note: The fork has already been done and some exchanges have already credited users their BTG tokens. And remember these are only tokens, not actual BTG, given and traded by these exchanges. However, users who had their BTC on a wallet at the time of the fork where they control their seed/private key will be able to claim BTG through the process which I am going to elucidate in this write-up. Another thing is that users will be able to claim BTG only once the BTG blockchain is live, which is going to happen in early November. I will update this section again with the new and latest information. Now that we are on the same page, let’s see how to claim and access our FREE BTG when the blockchain is live by using Coinomi Wallet. We are going to do this recovery of BTG from the Coinomi Android wallet. If you already have Coinomi, then please update your Coinomi wallet to the latest version. Open your Play Store app, click on the top left menu, select “My apps & games”, and then click on the “Update” button next to “Coinomi Wallet”. And if you don’t have Coinomi, then please install the latest version from here on your Android device. #1. Access your BTC wallet where you had your BTC at the time of the fork. Wallets like Jaxx, Mycelium, Ledger, Blockchain.info, Exodus, or any other wallet that supports BIP44 type key generation. Do a simple Google search to check if your BTC wallet is BIP44 supported. #2. Now from these wallets, take out your seed words. Seed words (or recovery phrases) are the 12, 18, or 24-word long phrases that you backed up while setting up your wallet. #3. Now use your Coinomi wallet along with these seed words/keys for restoring your BTC wallet on Coinomi. #4. Once your BTC wallet has been restored on Coinomi using these seed keys, you will be able to see your BTC balance that you had at the time of the fork. #5. Now in your Coinomi wallet, click on the top left menu, then hit the “+ COINS” button and select “BitcoinGold” from the mind-blowing list of Coinomi’s 86 supported coins and 214 tokens. Note: The characters before “H” are the number zero and not the letter O. #8. BOOM,🌟⚡💥🌟⚡💥🌟⚡💥 TaDa! Your $BTG wallet is now ready and you can see both your BTC and BTG balances. If you have more than one Bitcoin wallet in your Coinomi account and you want to claim the equivalent BTG, you will have to repeat the above process, replacing the last zero with the (zero-based) account index each time. So for the second wallet, this would be M/44H/0H/1H, and for the third wallet it would be M/44H/0H/2H, and so forth. With this Coinomi BTG wallet, you won’t be able to do any valid BTG transactions or see your BTG coins before the BTG blockchain is live. Expect some delay as I don’t see it happening on 1st of November 2017. Coinomi doesn’t yet support SegWit addresses starting with ‘3’, so with this method, you won’t be able to claim your BTG if you had BTC on a SegWit address at the time of the fork. This doesn’t mean that SegWit address HODLers will not be able to claim BTG; rather, these users have to wait until either BTG’s official wallet comes out or Coinomi starts supporting SegWit addresses. Also, the Bitcoin Gold Fork has already happened (around October 24, 6 am UTC at block height 491407). So if you are trying to claim BTG by transferring in BTC that you didn’t own prior to this date, you probably won’t get BTG. Beware of SCAM wallets/websites surrounding Bitcoin Gold who are frantically preying on immature users to get ahold of their seed keys. Don’t use your seed words/private keys on splitting tools or 3rd party wallets unless you are 100% sure about it. Here is the official blog post from the Coinomi team on the Bitcoin Gold fork and how to claim your free BTG. From now on, it will be interesting to see how Bitcoin Gold survives surrounding all the criticism and how much hash power it will be able to steal from other GPU mining rigs. Now it’s time to hear from you: So what are you going to do when you are able to claim your free BTG? Are you a HODLer or FUDster? Do let me know your thoughts in the comments section below. If you enjoyed this tutorial, do share it with your friends on Twitter & Reddit! my wallet has multiple currencied (jaxx). If i install coinomi and ‘restore’ using jax’s seed, what does that mean for my altcoins and the BTC that im holding? does the btc get copied to coinomi or ‘shifted’ to coinomi(which would mean i can access my btc from both wallets as if im creating a ‘copy’? )?What happens to my altcoins? Altcoin which is common in between the two wallets that is Coinomi and Jaxx you will be seeing both. Both wallets would be basically same and copy of each other. After claiming my BTG, what if I want to ‘remove’ my BTC and altcoins from coinomi, how do I do that? just send it back to my jaxx wallet address? (even though its already there?) Or is the copy interminable ? I think you already have BTC and every comman coin on both wallets i.e. coinomi and Jaxx. So even if you don’t do anything basically you have the same wallet’s access from coinomi and jaxx. You need not transfer anything anywhere because its the same wallet restored from same seeds. Hello! As Bittrex has already BTG listed, do I still need to transfer the BTC from my hardware wallet to Coinomi? Or can I send them directly to Bittrex and I’ll have the BTG? 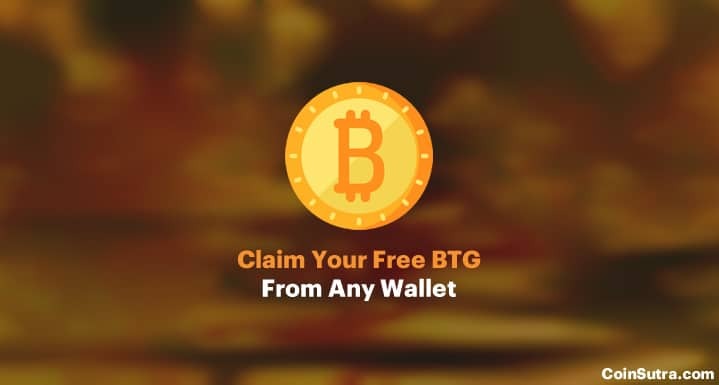 To claim your BTG you need not transfer your BTC anywhere. Please read the above-given steps thoroughly. Bittrex has started BTG they will not give you BTG unless you had BTC on it at the time of fork. I have Bitcoins in Unocoin wallet. How do I claim BTG? You can’t claim it if you had it in Unocoin at the time of fork. Kindly ask Unocoin to give your BTG to you. Is there a way to claim BTG if I had my BTC in the Bread wallet? try following this steps you should be able to claim. Anyhow you will not lose anything trying this way. I tried it in every different way. Even tried the Mnemonic Code Converter from Coinomi because BreadWallet is bip39. But I can’t fine my BTG. Balance stays o.oo in every way. check your BTC address in BTG explorer. See if it shows positive BTG balance if it shows there then you should be able to claim. Thanks man, your steps are quite simple and straight forward. Got my BTG intact. First, thank you so much for the explanations. 1/ So I deposed bitcoins on my Electrum wallet the October 24, 2017 at 3:46pm (UTC+1). 2/ I transferred all my wallet thanks to the private key to a Coinomi wallet (Sweep) the October 25, 2017 at 3:50pm (UTC+1) . 3/ I tried your method with the “Derivation path” section when adding the BTG coin in my wallet but it’s not working. 4/ Basically, I have no idea if I’m able or be able in the future to have BTG. The fork date, the BTG blockchain opening, and other things make me unsure about what can I expect to have in BTG. Thanks a lot again for your work, and helping others in the crypto currencies new world. It is difficult to say because the fork happened earlier and was not on the schedule. Best way to check is to explore your both Ethereum’s BTC public address and Coinomi’s BTC public address in BTG explorer here-https://btgexp.com/. If you have BTG positive balance on any one of them then you will get BTG otherwise not! I am in the UK, has been following the BTG Fork since day 1, however I am not sure when to buy BTG fork from. I have an account with Coinbase and Coin corner, but they both don’t support BTG Fork. Looking at the price BTG Fork is scaling, do you think some people have missed the bus? I transferred BTG from mining pool to my btg wallet generated at http://www.btgwallet.online. Now I have btg adress, public key and private key. But I don’t have the seed phrase. How can I transact my BTG to the Bitfinex? using this for the transaction is quite complex. Do one thing sweep your private keys in BTG wallet of Coinomi wallet and then from there make a transaction to Bitfinex. Hi SUDHIR, Very nice of you to answer these questions:) I have COPAY wallet where I have moved my bitcoin to BINANCE after BTG Fork! How do recommend I proceed as I have 12 seed phrase but no keys? Haven’t tried it with copay but the above-given steps should help you see your BTG. Try once you will not lose anything. Some iOS wallet that is available I guess is Freewallet and Guarda wallet. But any day we don’t yet recommend them. So do at your own risk. if not bip44 then, please try Bitcoin Gold Core wallet. using your blockchain’s seed words and restore option of coinomi take your wallet to Coinomi. Hi Sudhir, thanks a lot for your write-up. I had my BTC coins in an Electrum wallet prior to the fork and block no. 491406 but the above instructions have not worked for me. I’ve been through them several times and I think its something to do with my Electrum wallet. Its very difficult to get through to someone in Electrum, there’s no helpline – nothing! I’ve left posts in Reddit just recently. Is there anything you can recommend? This method will not work for you. I have mentioned that too that this method works if your wallet is BIP 44 supported which Electrum is not. You can claim your BTG via Bitcoin Core full node client or wait for BTG team to develop a fork of Electrum for BTG which is in their pipeline. how to implement a Bitcoin Core full node? any tipp or suggestion? So, BTC disappeared from Electrum and never appeared in Coinomi. I guess I must contact Coinbase so they can give those original seeds… does this makes any sense to you? No this scenario doesn’t make sense to me…is your BTC still present at that public address? Check on Bitcoin Explorer once. Sorry about the delay in answering you. At that time I was very confused about having to change some parameters and knowing about BIP44, etc… Then, I’ve created another wallet in Coinomi but din’d save any private key. I only have it’s original seed! bought BTC in Coinbase (before fork) —> Electrum —> Coinomi. BTC is present in public blockchain. I do not know how to recover it. Guys from Coinomi told me to contact Coinbase, since those original bitcoins were bought there before the fork.. so I should ask them the private keys for those bitcoins! I have a blockchain.info wallet that should contain Bitcoin Gold as well. I want to claim my BTG but I do not have a smartphone. I only work on my desktop. I need to import my blockchain.info wallet (using my 12-word seed) into an uncomplicated wallet that will give me my BTG. BTC.com made this very easy for people wanting to claim their Bitcoin Cash. I need something equally as easy as that. Restore your blockchain.info wallet there. Try this if it works. This is quite easy as you needed. So I can install the Coinomi wallet on my desktop..? I used my girlfriend’s phone and it worked like a charm..! Got my BTG in my wallet. No, you need an Android device. They will not integrate btg but I have my private keys of course. This coinomi wallet doesn’t support p2sh so Bitcoin Gold Core wallet should be the safest way to do it. How long it takes for BTG to appear in the new wallet? I have successfully restored my JAXX wallet on Coinomi. BTG wallet shows 0. It should be instant if you are eligible to claim it. I had BTC on Oct. 25. in my wallet. It shows on transaction list. What would you recommend? Hello, sorry about the noobness but i have a question. I have multiple coins in my JAXX wallet (eth,zcash,ltc), what happens if i do this procedure, will all the extra coins be imported sucesfully? Also, im very impresed you managed to reply every query on this post, you dont see this often from a webmaster. Congrats, u got yourself a new loyal follower. If you do this process you should see the common coins that are supported by both the wallets. Don’t worry you will not lose anything. Claim your BTG and then again move Jaxx is that is comfortable for you. I am storing my Bitcoin in Blockchain and BTC.com Wallet. I was easily able to recover Bitcoin Gold from BTC.com wallet into Coinomi. 1) Can you please tell me step-by-step how can i recover Bitcoin Gold from my Blockchain Wallet? 2) I heard about another Bitcoin fork. Segwit2x ? How do i get that as well? Segwit2x didn’t happened so you will not get any forked coins. How did you get BTG from BTC.com & Coinomi? You need to follow the above steps with blockchain.info and coinomi to get your BTG. I am finding the instructions for Blockchain.info to Coinomi to be bit complicated. After i finish this process can i still use my Blockchain wallet to receive and send BTC funds? I used “bip39-standalone.html” to scan the private address and added into my Coinomi wallet by using “Sweep wallet” for each address private key. I know for sure i had more BTC in my Blockchain wallet around Oct 24, then what i can see from under Settings -> Addresses -> Used Addresses. Currently i can only see 1 Address with 0.00091 BTC. Rest all of them are 0 BTC. Check your BTC addresses which had the positive balances at the time of fork in BTG explorer. If these addresses show a positive balance there also then we can look into this otherwise it simply mean you didn’t had that much BTC at the time of fork. So i checked and from Onctober 6th to Nov 19th i had 0.04398138 BTC in my Blockchain Wallet. On BTG explorer it is showing me final balance of 0.04398138 BTG. So far i am only able to claim 0.00091 BTC from my Blockchain wallet. What do u suggest? Should i try to completely restoring my Blockchain wallet to coinomi using my seed? Then enable your BTG wallet in Coinomi Wallet. Yes you will be able to use Blockchain.info after this also because in Coinomi you are just copying this wallet. I just imported my blockchain.info wallet using the recovery phrase and I can see my balance in Coinomi wallet. I also added the BTG wallet using the M/44H/0H/0H but the balance for BTG is 0. Do you know why? Thanks. I see transaction block was 491735. Am I out of this? looks like you were late. But still, check your BTC address in BTG explorer if that shows positive balance we can talk further. If not then it is missed an opportunity. I had my BTC at the time of the fork in Green Address – when I attempt the steps above, the balance of BTG is 0. A quick read online says this is something to do with multi-sig support – do you know anything about this, or an alternate to claim BTG? Unfortunately, I thought all BTC software wallets were created equal……… appears not. I believe Green Address has implemented segwit and multi-sig. Does your green address wallet address start from ‘3’? I dont fully understand it yet, so if you can shed any light on this for me, it would be great. Yeah, you can’t claim BTC if you had it on Green Address as of now because they are using segwit address or multi-sig addresses that starts from ‘3’ and COinomi yet doesn’t support these types of address so maybe you need to wait. One a bit complicated way that I can suggest you to try to get your BTG is to follow these steps. 3. Now once you have restored you should see your BTC balance on BTC.com because it also supports the same address format. I understand that it is a bit of hassle and also I am not sure if this way works. Logically it should if you have BTC at the time of fork in Green Address. Try it once you will not lose anything but just don’t leak your seed words to anyone. If this works do let me know. Cool. Thanks for the advice, will give it a go and let you know. BTC.com wont allow the restore because there isnt a postive BTC balance in the wallet anymore (I moved it to Ledger a few weeks ago). I might transfer a nominal amount of BTC into it to give it a positive balance, then follow the rest of your steps. DIdnt work. Looks like, unless Green Address change their policu, its lost. Thanks for the help anyway. Sorry about that. Will keep you posted if got anything about segwit addresses. If you are in a real hurry use Bitcoin Gold Core wallet but double check their official website for that. Don’t transfer it anywhere. Just use your Jaxx’s seed with this procedure to claim BTG. For recovering from Breadwallet, the derivation path should be “M/0H”. BIP44 wasn’t around when Aaron released it. Works great. We need Coinami on iPhone. Fabulous! Wonderful! Worked. Thank you so much. I have invested in http://www.btc-gold.net and still they are mot activated, i have sent multiple times and they are not responding at all the time. How can i recover pleaselet me know. I have sent frim zebpay. no idea boss. seems like an MLM scam. However, I can not find BTG in Coinomi wallet! As you can see, there are BitcoinCash, Bitcoinplus,Belacoin, Blackcoin, Britcoin etc…. BTG wallet is shown in my app. Please update your app once. Had BTC stored in Exodus before BTG snapshot on legacy chain. Unfortunately, just transferred it to Ledger Nano S and sitting on Segwit chain now. I still have Exodus wallet with zero balance. Can I transfer coins back and then try to go through steps to recover wallet in Coinomi? Or am I now out of luck? Any risks? Thanks in advance! If you have the seed of Exodus which had BTC at the time of fork then you are right on time. Just use your seed of exodus with above method and don’t transfer your coins here and there you will be able to see BTG in Coinomi. Let me know in the comment how it goes? Hello Sudhir, thanks for the prompt reply! Unfortunately, I have already moved the coins to Ledger. So my question was if I can move them back to the same Exodus wallet (and wallet address I previously had) and then go through the steps above using the Exodus seed with Coinomi, etc.? Thanks in advance! That’s what I said that you need not move coins back to Exodus and you can proceed with the above process with the Exodus keys even without balance on it. Hi, i dont have android and i had btc in my electrum wallet at the time of fork. How can i claim those without coinomi? I have ledger Nano , can i claim thourghout it? How? See if you sweep your private keys in Coinomi wallet. Don’t forget to sweep it in a valid format that Coinomi supports. i cant use coinomi , i dont have android. I have btc in electrum on my desktop win 10 and ledger nano. So use that Coinomi apk on ARC and import your private keys of your BTC in the BTG wallet in the valid format that Coinomi supports. This way you should be able to see your BTG. How can I extract my BCH from mycelium into Coinomi? Restore your seed of mycelium in Coinomi and go and enable BCH wallet in it. You should be able to see the BCH if you had at the time of fork. Thanks for this post! I first bought bitcoin on Sept. 16, but when I enter in M/44H/0H/0H into the derivatives section and open a BTG wallet, there is still a balance of zero $. Any idea why that would be? I also accidentally opened up a BTG wallet without adding the derivative but I couldn’t figure out how to delete it so I just opened up another one. It seems to have worked but the balance is zero still. Hold press the BTG wallet for seconds, delete option will be enabled. Unfortunately I was working through an Android VM box and that wasn’t an option for me. But I downloaded the app and went through the steps on my housemates and it still didn’t have a balance (then uninstalled the wallet). Am I too late to claim the bit gold or did I buy too late (sept. 16)? I have some BTC in an old school multiunit wallet that I have not opened in a long time… Mutlibit is no longer supported. Can you please advise if I am out of luck being on an old client or is there still some way to claim the forked coins? which wallet? As long as you have the keys you should be able too..
Is there anything else I can try? The derivation I used was “M44/0H/0H” and it the value is still at 0. If there isn’t anything else, then it seems that Sept. 16 was too late. Thank you for your help Sudhir!! Hi Sudhir, If I input wallet seed words in Coinomi wallet for claiming BitcoinGold, would BTC be then transferred to the Coinomi wallet? Please advise. Thanks. It will only be transferred man! By this way you will be able to see your same wallet in Coinomi…it will just a replica or copy you can say. Because of this the current 12 words passphrase doens’t cover also the imported address… how can import it into coinomi to claim BTG? Blockchain.info asks me to import the BTC from the imported address into the newly created one… will this operation prevent me to claim BTG? Convert your 16 words in a format that Coinomi accepts. I think you will in the WIF format and then you can sweep/import that into Coinomi’s BTG wallet. I have transferred. 001 btc from mycellium to coinomi abd and followed the steps the steps for btg. Haven’t received any btg yet. Please help. You need to have same wallet in the Coinomi. Please read properly it has been explained well. You need to restore mycelium wallet, no need to send any BTC here & there. I have a positive BTC balance in a digitalbitbox wallet from before the fork, however the addresses do not show a balance in BTG explorer. How should I proceed? did you have BTC at the moment of fork? It should if you were on time. Thanks Sudhir – I was holding at the time of the fork but moved to Coinomi after block 505888 so I probably missed it. I’ll give your method a go though. Thanks for the post. Hi Sudhir, I had my BTC in Xapo at the time of the fork ( and still does) . Can I claim my BTG? yes, you can claim, try once you will not lose anything. Try this method, you should be able to claim. So is it true, If I had my coins in electrum I can not get the bitcoin gold? You can get. You need to import your private keys into BTG’s official wallet for that. mate you are a legend!!! Just got my free BTG on Coinami-shame it wasnt a couple of months ago as its gone down but its still in my wallet. I have a coinbasr account,but here is no sources bitcoin gold,what can i do,i have need coinbase bitcoin gold wallet. You need to ask Coinbase for that. Would this same process also work with Bitcoin Diamond? Nope, this will not work for BCD, I believe.